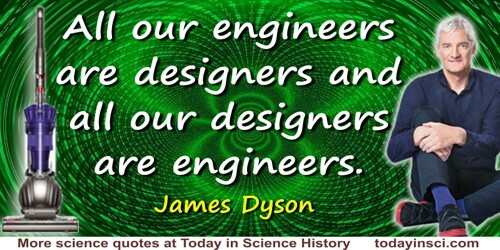 All our engineers are designers and all our designers are engineers. Quoted in New Yorker (20 Sep 2010). Cited in interview by Melanie D.G. Kaplan, 'James Dyson: Why we need to re-focus on the old economy' posted on smartplanet.com (3 Nov 2010).